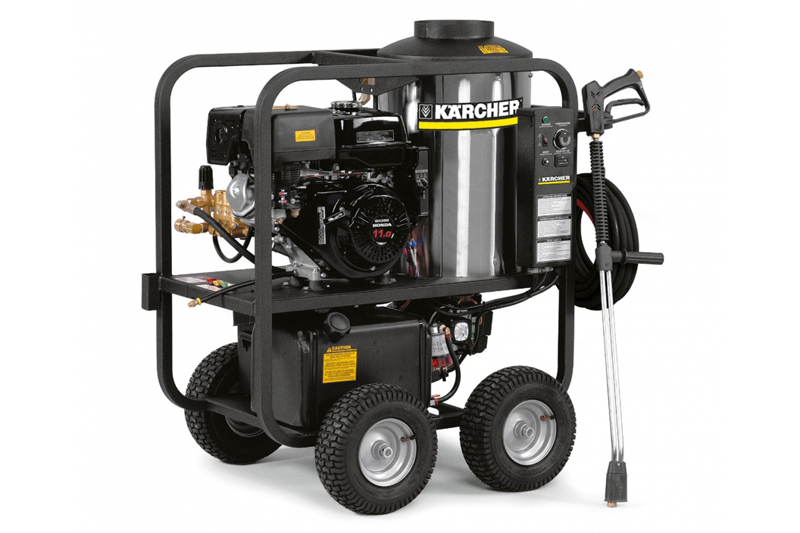 Whether it is indoor or outdoor cleaning, Karcher pressure washers are simple and reliable with very few moving parts. Axial pumps are engineered specifically for each model. Electric models feature an automatic shut down system that stops both motor and pump when the trigger gun is released. The non-fatiguing guns can be operated with one finger and feature "no buzz" and "no water hammering" comfort in the design. With a multitude of uses these pressure washers are ideal for exterior building cleaning, production equipment, air conditioning & cooling systems, material handling equipment, paint, rust and scale removal, degreasing, vehicle washing, heavy equipment cleaning, engine degreasing and agriculture. Compact frame design along with tubed pneumatic tires provide easy maneuvering in any terrain.